Wind energy is renewable source of energy and available all around the globe in abundance. So to harness this natural resource in the best possible way wind turbines are designed .Wind turbine can operate from 15km/hr to 90km/hr of wind speed, and are being vastly used all around the world. 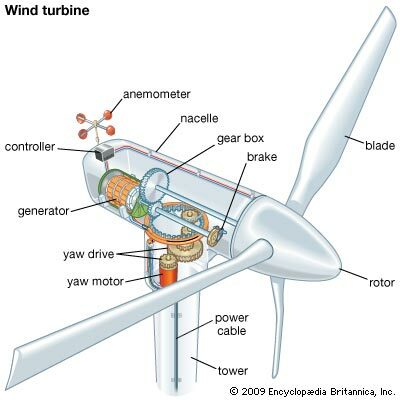 The wind power plant are used for the generation of electricity in high wind area with the help of wind turbines. 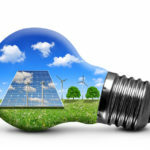 Almost 2% of the solar energy coming to the earth is converted into wind energy. It is due to the uneven heating of the earth surface that causes different low pressure zones and air molecules move from high pressure zone to low pressure zone thus creates the wind. The rotation of the earth and surface irregularities causes the wind to follow a random path all around the earth. This flowing of this wind is extracted at wind power plant to rotate generators that produces electricity. What is a Wind Farm? When a number a wind turbines are installed on a land it is said to be a wind farm. All the electricity generated from each and individual tower is supplied to electrical substation through transmission network. 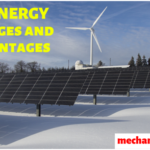 Before investing money in this business one should make sure that the location of the wind power plant plays a very crucial role in its success. Offshore plant has got good air current all along the year .It’s only drawback is that the cost of construction, installation and difficulty faced in maintenance of the plant. Also submarine cables are used to carry current to the land where local transmission lines could be used easily .Moreover one should also keep in mind the that wind speed in offshore plant reach upto several miles/hour so the designing of the machine is also a prime factor to be kept in mind. Onshore wind power plant location need a lot more research and investment of time to find the right location, first of all the speed, temperature and wind current direction sensors are installed all around the area taken into consideration. The data of these sensors is analyzed for months to decide whether it’s a good location for installation or not. Once you get the right location it’s then easy to construct and install a plant. There must not be any obstacles in the passage of the wind, so avoid the turbulence in air current reaching the blades. Therefore onshore plant should not be installed in a valley. Best location for onshore plant is top of the hill, where we can get almost streamline flow of air without any turbulence or an open land. If there is any obstacle in the flow of air even in front of an open land then it should be as far as twice length of the tower, then it would not affect the power generated by a tower. 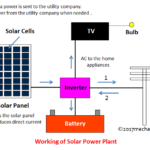 As wind power plant have variable power production due to variation in wind speed all along the day, they have to workout a backup electricity plan so as to maintain a consistent power supply. Weather forecast also plays an important role in determining the proportion of use of alternative sources in coming few days. India is producing 1500 MW of electricity from its muppandal onshore wind farm, second largest in the world in producing electricity after China’s Gansu wind power plant producing 6000MW of electricity. 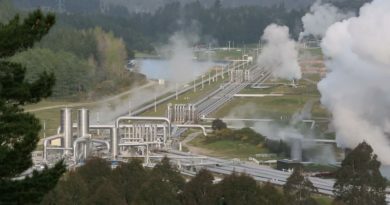 How Geothermal Power Plant Works – Explained? All the wind turbines used today are horizontal axis machine with 3 bladed rotor spinning in a vertical plane. Wind energy is used to rotate these blades, which are mounted at a height of almost 40 meters. Thus converting kinetic energy of the wind into mechanical energy. This mechanical energy is then converted to electrical energy using generator. It’s a horizontal axis machine with 2-3 rotor blades that spins in a vertical plane, these blades are mounted on a hub and this hub is connected to a box called nacelle. 1. Nacelle– It is named after the furring of an aircraft engine. It is a fible glass tube that contains the gearbox, brakes and a generator. However for turbines generating upto 2MW/unit high voltage transformer is also placed in nacelle itself. Also it has got direction and speed sensors mounted as back as possible on nacelle to prevent them from the dirt coming from blades. 2. Gearbox– Shaft connected to hub directly goes into gearbox and it increase its rpm to required level .it is the most heavy part in the nacelle. 3. Brakes– Brakes are used when wind is blowing above critical level to same turbine from damage .Brakes is mounted just behind the gearbox. 4. Generator- It converts the energy of fast rotating shaft into electrical energy, and finally the high voltage transformer converts it to high voltage to be ready to go in transmission lines. 5. Tower- It‘s the cylindrical structure on which nacelle is mounted. For a sub megawatt turbine generating upto 400-600 watts of power its height may vary from 25m to 45 meter. However the diameter of this cylinder reduces as we go up the tower. The transmission cable from generator comes down inside this tower to the high voltage transformer. Tower also has a ladder inside it with wooden platforms at different heights. The platform connected to the nacelle is called the yaw platform. 6. Yaw Platform- It is a steel platform at the top of the tower and helps the nacelle to yaw in the direction of the wind. It has also got brakes in some high end wind turbines to maintain the direction of the nacelle. Blades of the wind turbine work as an airfoil of different cross-sections all along the length. When fluid (air) moves over this airfoil it generates a lift force thus making the blade to rotate at its axis. 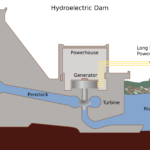 The generator is also connected to the rotor shaft starts rotating and produces electricity. Now, we all know that rotating blades can get us electricity. But the wind speed keeps on changing with time so we get a fluctuation in power. To overcome this, threshold velocity is decided at which turbine will start rotating, below that brakes are used to prevent the blades from rotating. And for high wind velocity brakes are applied to prevent turbine from damage. Motors and sensors are used to rotate the blades about their axis so that they can adjust according to the varying direction of wind. And to extract maximum power out of wind. Blades are also rotated to stop the turbine from rotating, means they are oriented in such a way that no lift will be generated even with the blowing wind. 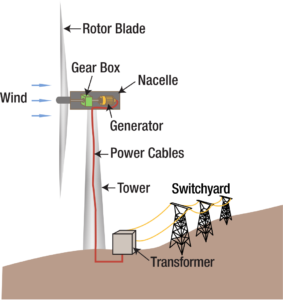 In a wind power plant ,turbines are required to be interconnected to get the best out of them .They are connected to each other by a medium voltage power collection system usually around 35.5 kV along with a communication network, that helps them to communicate. Air as a fuel is free and inexhaustible. It is clean source of energy and does note pollute the environment. It’s cheap as only the installation and maintenance cost is required. Wind energy is one of the fastest growing sectors all around the globe so it is generating a lot of employment in manufacturing, installation and maintenance. It takes a lot of research and effort to decide the location where wind power plant has to be installed, due to fluctuating pattern of wind. Its initial setup cost is too high as to setup a turbine you have to go through a survey to determine the wind speed of the location. It all adds up to the cost. They are the greatest disadvantage to local bird population as they die due to collision with blades. Noise pollution is the one of the major disadvantage. Wind power plant is only useful to the countries with coastal or hilly areas. 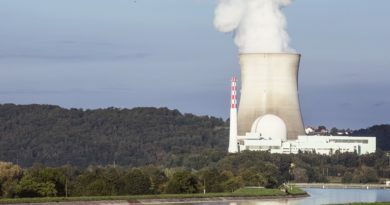 It is mostly used for electricity generation. It is also used for water pumping through multi blade turbine. 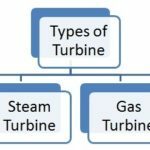 What are Different Types of Turbine? 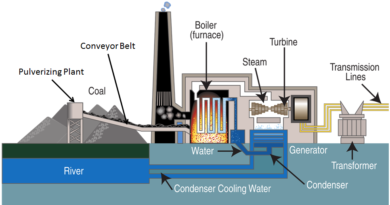 How Coal Power Plant Works? – Do You Know? What is Vickers Hardness Test? What is Rockwell Hardness Test? Copyright © 2019 Mechanical Booster. All rights reserved.